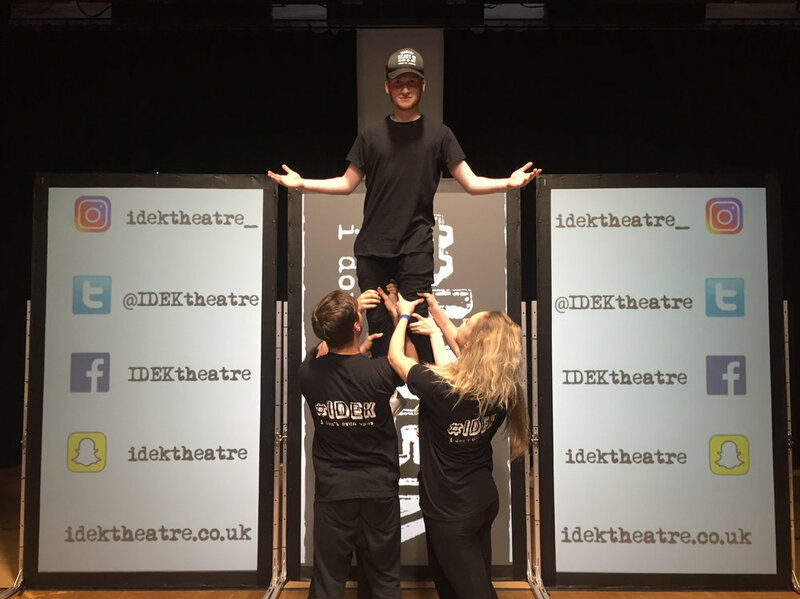 #IDEK Theatre Company was founded in January 2017 by Rory O’Neill and Tim Halliday in response to funding given by Changemaker Hub and ASPIRE at the University of Northampton. After a period of intense research and training the cast and crew toured 'i Don't Even Know' to schools in mid to late November 2017. In 2018, we are pleased to announce our new show: 'Tomorrow'. Touring to Northamptonshire secondary schools in June and July 2018, this new show is aimed at students in years 12 and 13 who are preparing for or undertaking the UCAS process on their path to University.